Ben Hopper is a London-based photographer focusing on the art of photography. His work has been featured in prestigious magazines and newspapers such as The Guardian, GQ Germany, La Figaro, ELLE to name the most important. He had numerous exhibitions in UK and France and has a great number of clients mostly in the categories of art and education. Hopper challenges art through his photography by engaging bodies, faces and people in general within his settings. 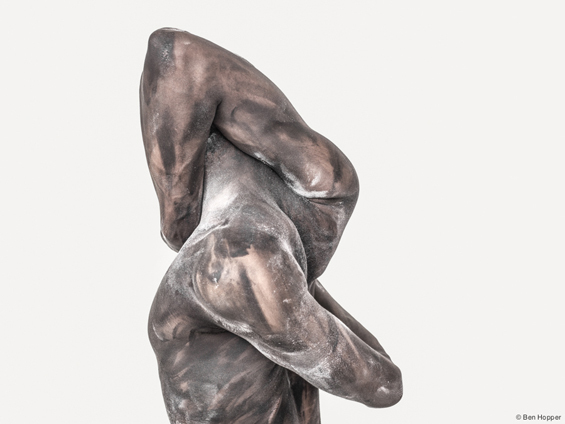 In the project ‘Transfiguration’ he captures bodies as if there were actual sculptures. 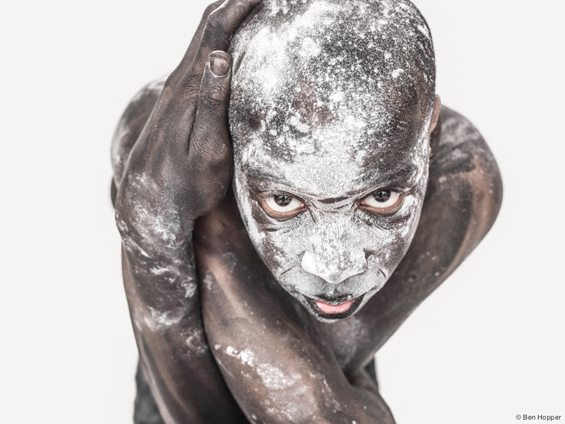 “Like a mask, the layers of body paint and powder disguise the identity and release something animalistic from within. It also creates a sculptor / painting looking figure, more abstract and less human.” he explains. 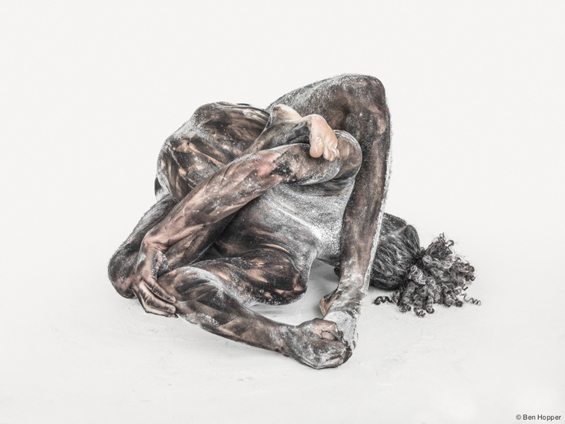 The first photograph for this project was in November 2012 having photographed dancer Alejandra Bano. From then on he realised that this would be a long-lasting project. 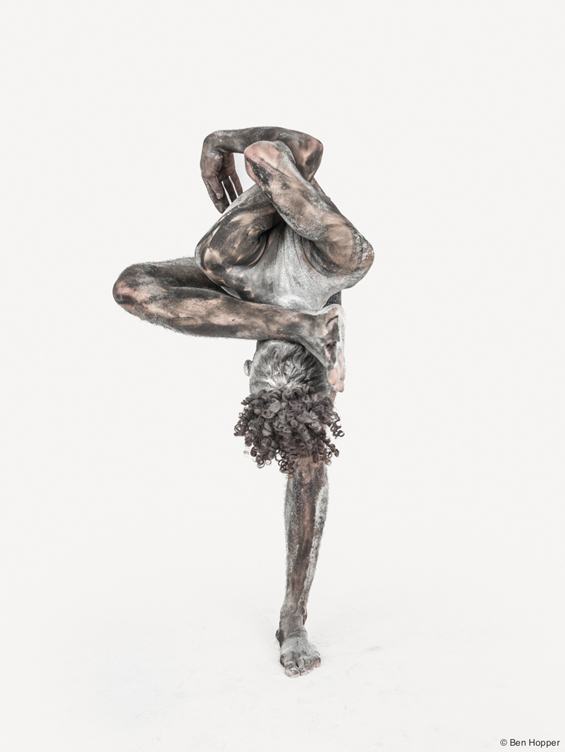 “For this project I decided to work with circus artists and dancers for their physical appearance and capabilities.” he adds. The first pile of photographs were released the first two weeks of 2015 though the project is still running, waiting for more work. Enjoy.